Soon after their launch, Facebook’s mobile ads began outperforming their desktop counterparts. 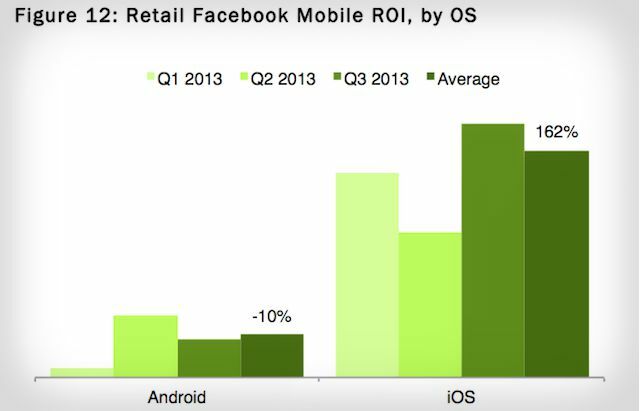 Now new data suggests that Facebook Ads are more profitable on iOS than Android. A study of more than 200 billion ads on Facebook found that mobile ads on iPhone generate 1,790 percent more return on investment than ads on Android. In fact, ads on Android actually cost more than they return. Nanigans, one of the biggest buyers of Facebook Ads, focused on retail advertising and found that iOS-based ads have a surprisingly high clickthrough rate. During the first three quarters of 2013, RPC (revenue per click) on iOS averaged 6.1 times higher than Android and ROI on iOS averaged 17.9 times higher. Dan Slagen, Nanigans SVP, said that this data is very different when looking at the gaming or e-commerce industries, but when it comes to retail, iOS is clearly the winner. Though he didn’t speculate why there’s such a big gap between the two platforms, Slagen did suggest that iPhones are worth more. It’s also worth noting that the mobile shopping experience across different sites is better on one device than the other. If that is the case, then developers might want to consider what’s missing from their apps. 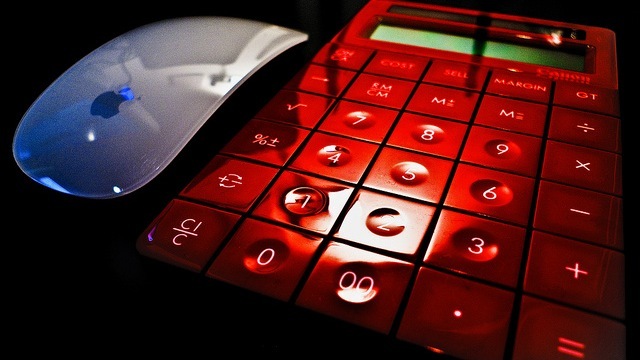 It could also mean that iOS users click on ads and buy more merchandise than Android users. The cost of advertising on Facebook doesn’t vary much between Android and iOS, with CPMs of $4.99 for iPhone and $4.87 for Android. However, there is differentiation when you look at cost-per-click campaigns: CPC ads on iOS cost $.40 while they are only $.18 on Android. Although interesting, this study shouldn’t ignite an iOS versus Android debate among your team. However, it does offer good reason to take a look at your campaigns and see if they’re meeting your goals. If not, experiment with different messaging on each device and see if performance issues can be worked out.